Connecting Research: The Forum · Is the Trump administration getting East Asia right, or just confusing it? Despite Donald Trump’s unilateral and belligerent campaign rhetoric, his administration’s foreign policy began in surprisingly orthodox fashion. 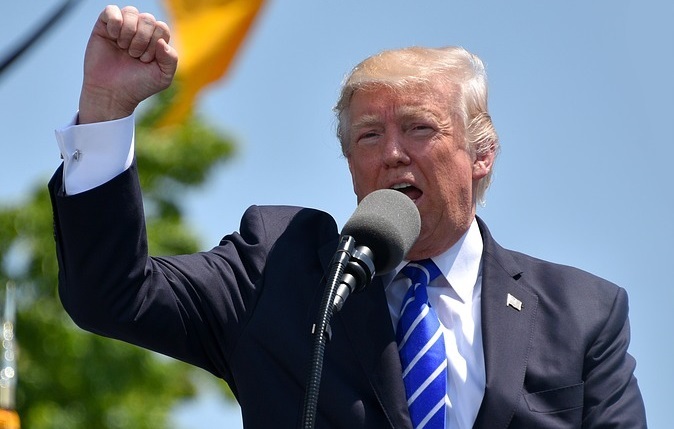 From the get-go, Trump and his officials made various efforts to further ingratiate the US with other countries, and to support long-term alliances – particularly in Asia. And as at the start of the Obama years, the administration’s first official visits were to Asian countries. In February 2017, Trump’s secretary of defence, Jim Mattis, travelled to Japan and South Korea and backed the deployment of the THAAD missile system to South Korea in order to defend the area from possible North Korean attacks. A month later, then-secretary of state Rex Tillerson visited Japan, South Korea and China; vice-president Mike Pence made a similar tour, extending it to Indonesia and Australia. And immediately after Chinese president Xi Jinping visited him in April 2017, Trump called his counterparts in Japan and South Korea to reassure them that the US was committed to their defence. It all signalled that the Trump administration would approach East Asia in fairly traditional American style – and even given the variously stunning and baffling developments of the last 18 months, many fundamental tenets of American policy remain intact. Trump’s officials clearly share Japan’s concern that a rising China might pose a threat to the balance of power in Asia, especially if it joins forces with North Korea, and oust both Japan and the US from the area. This common interest in containing China has made Trump’s approach to Japan much softer and friendlier than his campaign rhetoric proclaimed, and even led to a few actions to show unity against China. First of all, Trump met Japanese prime minister Shinzo Abe before he met Xi. Second, his administration has strongly backed Japan in its long-running territorial dispute with China over the Diaoyu/Senkaku islands in the East China sea, which both Beijing and Tokyo claim. Military tensions have risen accordingly. The situation is quite difficult in the South China Sea, too. A US-Japanese joint military exercise in May 2017 set China on alert. At the same time, Tokyo, much like Trump, blames China for failing to exercise enough influence to rein in North Korea. The same concern is shared by South Korea, which also benefits from massive US military support. As North Korea ramped up its nuclear development program and Beijing failed (or declined) to rein it in, Washington-Seoul relations continued to improve. But then, in March 2018, Trump accepted Kim Jong-un’s invitation to a bilateral meeting. This erratic move was a shock to the US’s core Asian relationships, and it handed China an opportunity to drive a wedge between the US and its partners. If Washington can keep up a constructive dialogue with Pyongyang, it’ll be far less dependent on other Asian countries’ efforts to contain North Korea. Then again, Trump’s steel tarriffs are also designed to punish China – whose position on the North Korean problem is under serious pressure. Like Washington, Beijing wants the Korean peninsula denuclearised, but it also wants avoid anything that might turn Pyongyang into an enemy or push it closer to the US. And although relations between Beijing and Pyongyang have not always been easy, the two still share the strategic objective of breaking the US-South Korean alliance and removing the US presence in the southern part of the peninsula. Indeed, in March 2018, Kim travelled to Beijing to get China’s support before meeting the South Korean president, Moon Jae-in, and then Trump. This was something of a breakthrough – and as with every positive development on the Korean peninsula, the Trump administration has unsurprisingly rushed to take the credit for it, saying Kim was ultimately dragged to the table by extensive US-led economic sanctions. In truth, much of the credit for Kim’s readiness to travel abroad and meet with any leader in person should go to Moon, who staked his political career on engaging the North at the 2018 Winter Olympics in Pyeongchang. And whereas Kim’s summit with Moon at the north-south border in April was an astonishing moment in the two countries’ history, the Singapore meeting with Trump only helped to consolidate his legitimacy. In the end, Trump has handed North Korea a great concession. Boast though he might, his supposedly world-class deal-making skills did not deliver a deal in Singapore. As a result, Asia itself and America’s role in it remain more unsettled than at any point in recent history. The US’s one remaining ace is the possibility of formally ending the state of war between the two Koreas. The Korean War ended with an armistice, not a peace treaty; both North and South Korea want to put one in place this year. But as always, North Korea insists that a peace declaration is a precondition for denuclearisation, while South Korea hopes that the mere prospect of a peace treaty will make Kim more amenable to abolishing his nuclear programme for good. Trump, like all previous US presidents, wants denuclearisation to come first. Despite the the US’s apparently inflexible demands, things aren’t exactly at a standstill; Kim has now reportedly requested a second meeting with Trump. In the context of an unfolding trade war, the impact that might have on the geopolitical situation in a tense and unbalanced Asia is anyone’s guess – but as ever in East Asia, the way the US chooses to conduct itself will be of paramount importance. This post was first published on The Conversation on 12 September 2018. Mara Oliva is a lecturer in modern US history at the University of Reading, whose areas of specialism include American political history; US foreign policy; US Presidency; Cold War; role of domestic politics in US foreign policy making (especially public opinion and media); Sino-American relations; Sino-American culture in the US; Climate Change Diplomacy, Public Diplomacy.